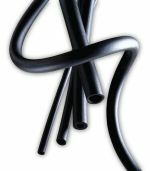 Heat-shrinkable tubing is available in an extensive range of sizes, colours and materials, including Polyolefins, Fluoropolymers, Elastomers and Silicone, many of which are radiation cross-linked to enhance their performance properties. 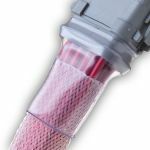 Shrink ratios from 2:1 to 4:1 enable ease of installation, allowing the tubing to be utilised in all environments, from component protection through to rugged high-performance electrical systems and field cable repairs. Temperature capabilities range from -75ºC to +260ºC. 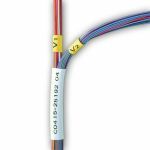 Heat shrink tubing is also a simple and effective way of improving a product&ApplyFunction;s aesthetic appearance.